Started by JF Koh, a comics creator and enthusiast based in Singapore, Panelgraph is a collective which, to quote their Facebook page, ‘aims to produce a free online quarterly comics anthology for writers and artists to hone the craft of creating original comics’. Apart from the overarching goal of putting out a free online magazine, it is also JF’s intention to promote collaborations between writers and artists to create comics, something which isn’t the norm around this part of the world. The cover of the latest issue of Panelgraph (Volume 3), which you can read for free by clicking on the image. I’ve known JF through his tireless efforts in organising the Singapore editions of 24-Hour Comics Day, so Panelgraph was naturally the next logical step in his efforts to build a sustainable and nurturing environment for comic creators in Singapore. The monthly meetings such as this one aims to be a place for comic creators, writers, and enthusiasts to network, collaborate, share their knowledge, pitch, and work on their projects (which ideally could be submitted for the aforementioned free online anthology). In terms of the genres of comics they’re looking for, they are more focused on science fiction, fantasy, horror and other popular genres. As JF puts it, Panelgraph likes ‘heroes, villains, babes, monsters, robots, ninja, zombies, time travel, adventure, romance, comedy, anything larger than life’. So back to yesterday’s meeting. 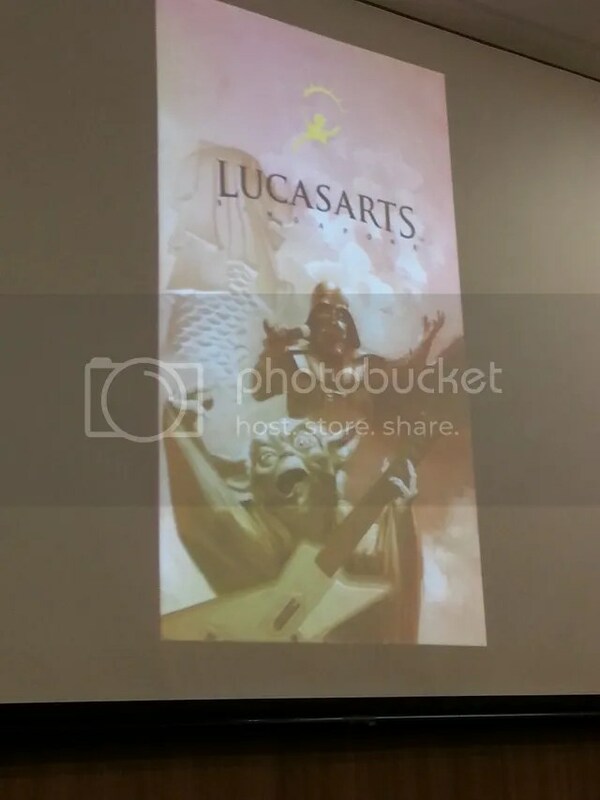 According to the Facebook event page, the meeting was supposed to be divided into two parts: Part 1 was for Comics Creation between 2 to 4,30pm with a focus on the bonus theme ‘Dragon Riders’, and Part 2 was for a talk by Marvel Cover Artist Gary Choo between 4.30pm to 6pm. I arrived at the Toa Payoh Library’s Level 3 Programme Zone at 2pm sharp, and ended up being the first person there. Thankfully, my friend Sarah joined me shortly after, so we sat in the area next to the Programme Zone where we could spot others once they went in. The library staff set up the projector systems and such by 2.15pm, and by that time JF was already inside the Programme Zone with a few others, so in we went. We had a ball of a time as more and more artists shuffled in as it got closer to 4.30pm when Gary’s talk was scheduled to start. Throughout the time leading up to Gary’s talk, I kept wondering if it would start soon as I had assumed it would be at 2pm and that the comics creation session would follow after, until someone pointed it out to me that I had gotten the schedule wrong. Note to self: I should really get my eyes checked. There were many familiar faces mingling at the meeting, such as Jerry Teo (the creator of Rex Regrets) and Elvin Ching. I managed to work on my own collaborative project with Wayne Rée (whom we finally managed to give a belated birthday present to) so I would say that it was a pretty productive session for me at least. JF, being the catalyst for social links, introduced a new writer with a story to polish to Wayne and Sarah (both of whom are published writers in a room mostly full of artists), who was grateful for the tips and feedback he received. Gary Choo, about to start his talk on ‘Creating Covers for Marvel Comics’. 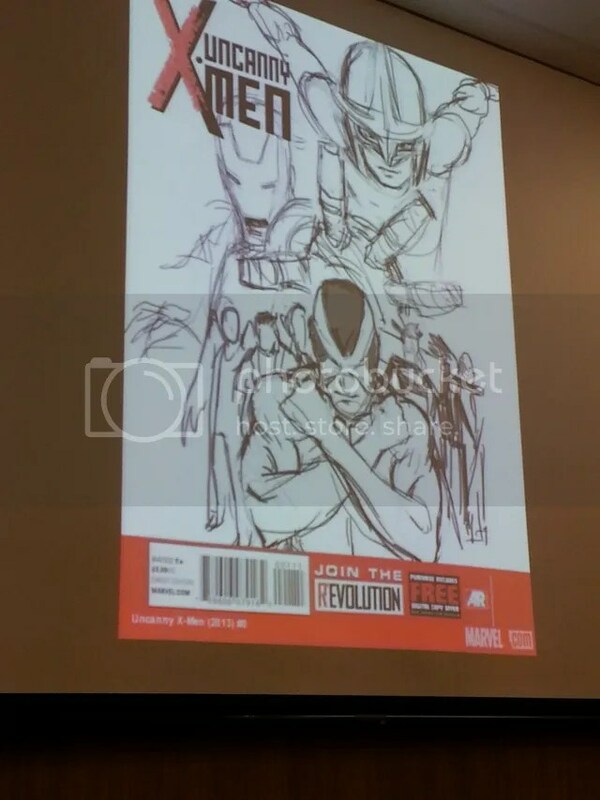 Gary Choo’s talk started right on time, and despite a few technical issues with the slides and PA system, it was an illuminating insight into his growth as an artist and a glimpse behind the scenes of creating a cover image for Marvel from draft to final art. This talk, we were told, was first presented at the Asian Festival of Children’s Content in June 2015 where he was invited to speak. Gary started out in the industry as a Concept Artist at LucasArts, working on games like Monkey Island Special Edition and Star Wars 1313. 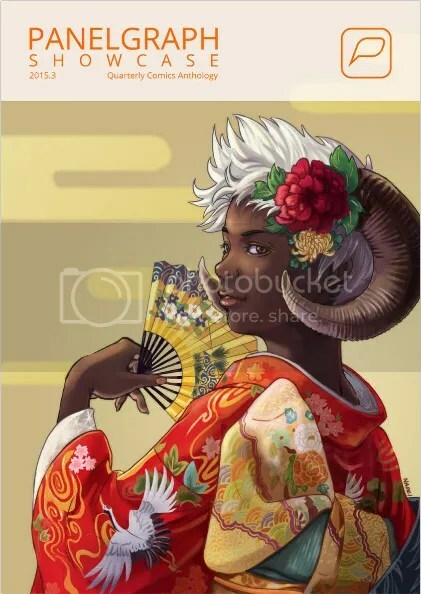 This experience, he said, helped him to be versatile as he had to work with different Art Directors and adapt to their working styles and preferences. One of the pieces he did while he was at LucasArts that made me go ‘D’aww’. I mean, just look at how badass Yoda is! His big break with Marvel came when he met CB Cebulski at the Singapore Toy, Game & Comic Convention (STGCC) during one of his visits and the rest, as they say, is history. CB Cebulski introduced him to Nick Lowe, who was the editor for the X-Men comics at the time, and Gary has been working with him since. The final and approved sketch for an X-Men cover Gary did. 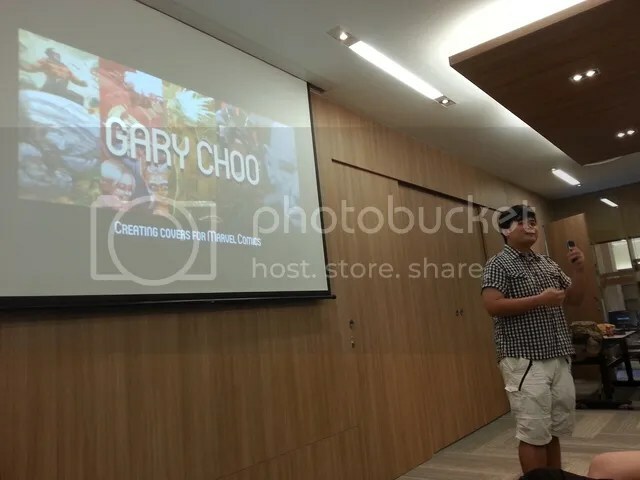 Gary currently juggles his freelancing gigs with Marvel and his day job as a Concept Artist at Booster Pack, a mobile game development company in Singapore. Be flexible with your working process. Your editor will send you a design brief on your assigned cover and it’s up to you to come up with layouts and thumbnail selections for the editor to decide which to run with; They may even bring in the writer of the issue to offer suggestions. You will also have to learn to adapt to your editor’s working style. Some editors drop bombshells on you at the very last minute (the shortest deadline he was given was for a Spiderman cover: 2 days) and it’s up to you to be resourceful. He also encouraged those present who want to work with any big comic companies to learn to eat humble pie. Learning how each editor works, and letting them know how you work, makes the collaboration and communication process much easier. If you’re looking to build your portfolio, do not be embarrassed or shy to reach out to your contacts to ask for opportunities. The most important advice he gave, for me at least, was to listen to your editor’s advice. From a commercial standpoint, they would know the audience better than you do, especially if they’ve been studying the demographic as it changes. In closing, he advised those present to self-reflect and analyse their own strengths and weaknesses. To him, the adage to ‘work hard for something until you get it’ does not always hold true as it may not work for everyone. For some, their ‘laziness’ allows them to find the fastest and most efficient way to work (that works for themselves), and he cites artist-illustrator Ashley Wood as an example. The most important thing, he says, is to experiment and discover for yourself the most effective method that allows you to produce your best work. A mesmerized crowd close to the end of Gary’s talk. I didn’t hang around long after the talk as I had somewhere else I had to be, so I left after saying some quick goodbyes and thanked JF for organising the meeting. 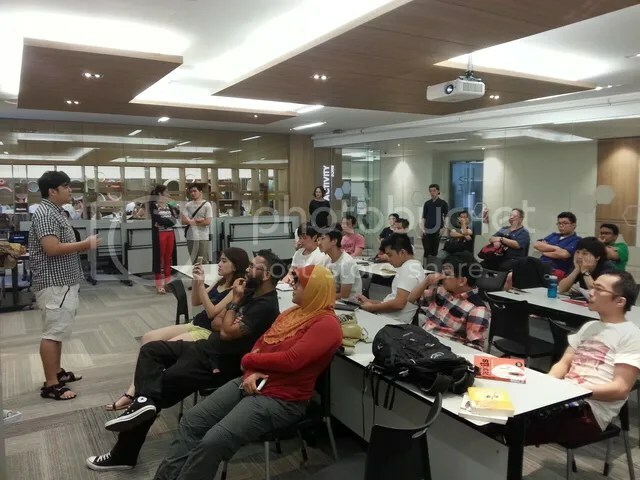 Although efforts such as this at the grassroots level will take time to bear creative fruit (especially one that is headed by an individual instead of the usual government bodies in Singapore), it is refreshing and important to have a safe haven for creators to get together and mingle, regardless of their skill levels, as it is through exchanges like this where serendipitous encounters occur. The library staff were friendly, awesome, and extremely supportive, and I honestly can’t wait to see what next month’s Panelgraph meeting has in store for us! The Panelgraph Editorial Meetings will be held at the Toa Payoh Library for the next two months. If you’re interested to catch the next one, do join the Panelgraph Facebook page for updates on when it’ll be taking place.